Black and orange parties at Halloween, Happy Holidays at Christmas. The our tolerance of the intolerant is killing Canadian Culture. It’s time we stood up for what we value and demand the respect we give to others in return. 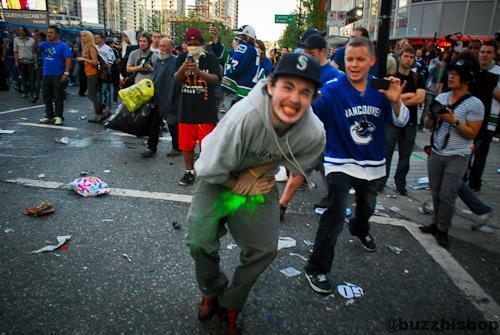 Why did Vancouver riot after the Stanley Cup loss? Same reason they smoke pot on the streets, and ride bikes without helmets – the police let them. What Does Bonnie Brooks Look Like? Bonnie Brooks, President of the Bay, has an unmistakable voice. The moment her gravely tones comes on the radio introducing another deal at the Bay, you know who it is and what she’s talking about…. Canada will vote May 2, 2011. Our 4th election in 7 years. If you have apathy and frustration at your choices, you’re not alone. We’re all getting a little sick of the petty party politics….